A world without fish and chips on the menu, would not be a world worth living in. 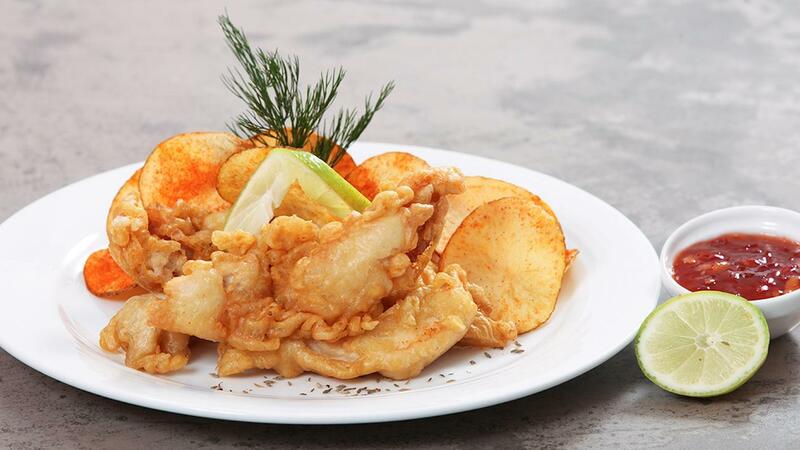 Here’s our take on batter fried fish. The standout ingredient is Knorr coating mix; view the full recipe below. Mix Knorr Coating Mix (Spicy Marinade powder 80g), 100 ml water and fish together and marinade for one hour and more in a refrigerator. Mix Knorr Coating Mix (Coating Base powder 40g), and wheat flour together and sieved twice to a Tray. Mix the sieved flour, cumin powder with ice water gradually and prepare a smooth thick batter. Dip the marinated fish pieces in the batter and deep fry till golden in pre heated oil at 180 degrees. serve hot with fried chips, lemon, dill and Knorr Thai Sweet Chilli Sauce.